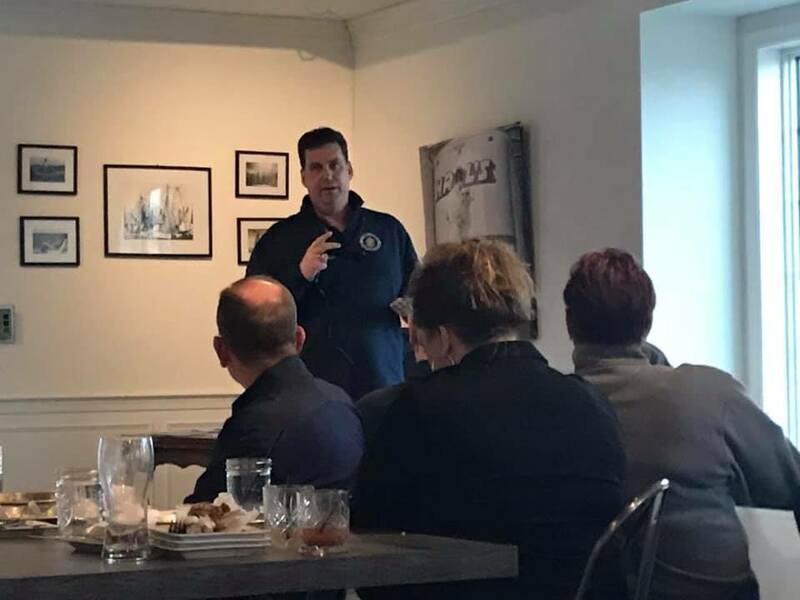 We had a great time at the Naval Academy Parents Club of Central PA (NAPC) at the Ever Grain Brewing Company in Camp Hill, PA on 24 February 2019. A big thank you to the Club and events chair Toni Chase ’84 for organizing a wonderful event. Elizabeth Beedenbender and Craig Washington from the Naval Academy Foundation drove up from Annapolis to fill us in on the latest happenings on the Yard. 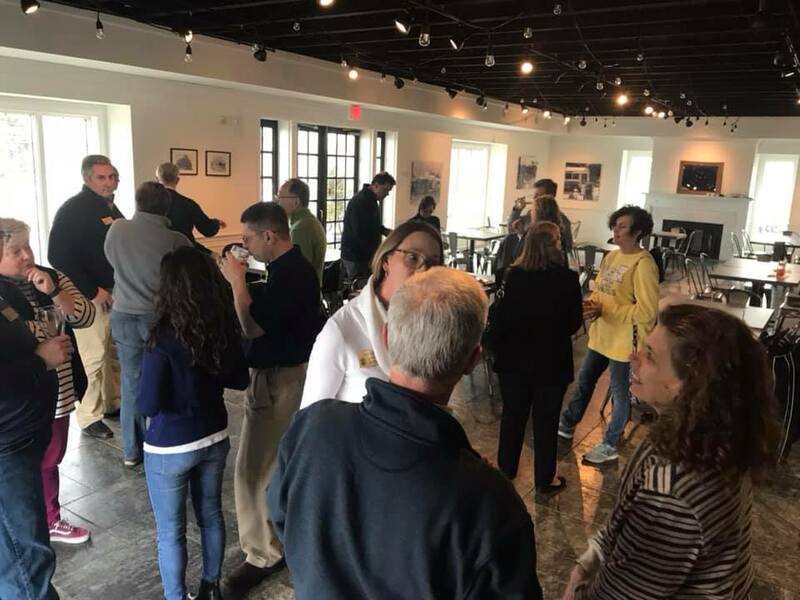 The Susquehanna Valley Chapter of he USNA Alumni Association is invited to join the Naval Academy Parents Club of Central PA for our 2019 “Dark Ages” social. We are looking forward to some time together at Ever Grain Brewing Company in Camp Hill PA, 3:00PM to 7:00PM, 24 FEBRUARY 2019. It will be an evening of food and fun. This will be a wonderful time for both of our club memberships to get to know each other and spend time socializing and telling stories! There is no cost to attend this event other than the food and drinks you purchase for yourselves. We are also pleased to have friends from the Alumni Association at the Naval Academy joining us from Annapolis to update the latest ‘happenings’ on the yard, and to update the “Called to Serve, Daring to Lead” campaign that is currently underway. We hope to see everyone there! GO NAVY! With the weather this week, the Dark Ages are solidly here! Shake off those winter blues and hope to see you there! 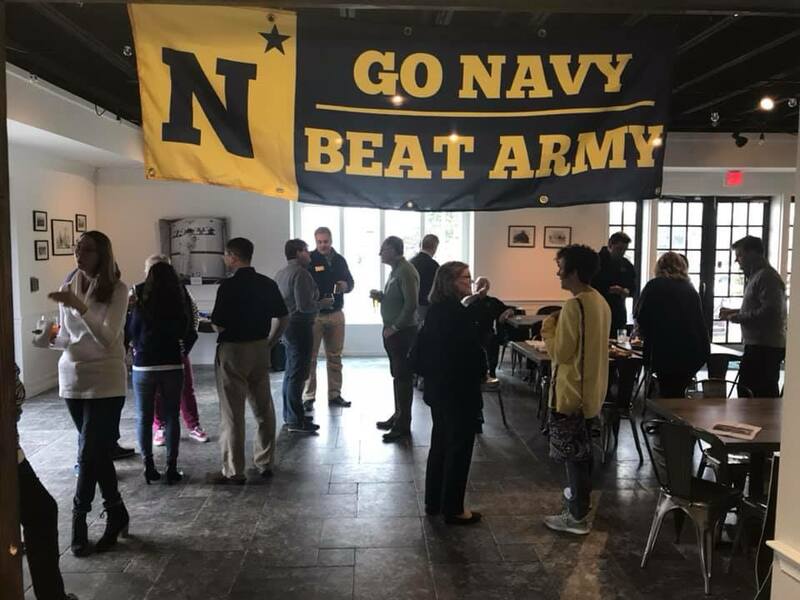 The chapter’s 8th Annual Army-Navy Game Viewing Party was held Saturday in the warm environs of the Lancaster Brewing Company in Harrisburg, hosted again by Bill Boniface ’72 and Matt Chabal ‘77. A record crowd of twenty-eight fans showed up (twenty-five adults and three youngsters) to enjoy watching Navy battle a stronger Army team while enjoying beer, pizza, pot stickers and wings and catching up with Navy friends and classmates. 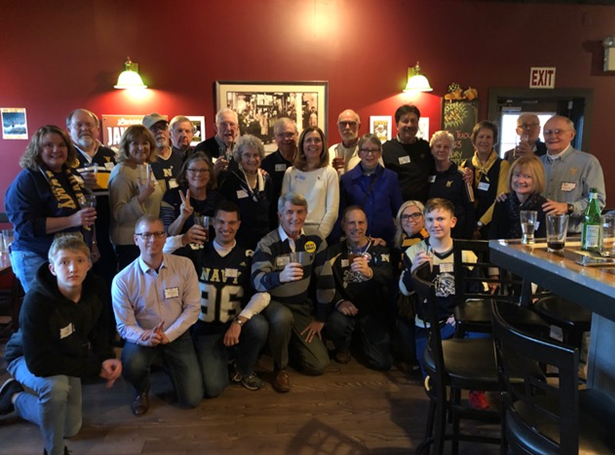 Those on hand for yet another “Almost Victory” party included George and Bev Connolly ’56, Bob and Nancy Sigrist ’64, Bill Dornsife ’66, Chuck Hoffman USMA ’66, Jim and Barb Nolan ’70, Bill and Susan Boniface ’72, Dean and Karen Glick ’72, Dave and Trish Willmann ’73, Lee and Karen Erdman ’76, Matt and Beulah Chabal ’77, Jeff and Cindi Knauer ’78, Dave and Teresa Kern ’80 and son Michael, Laurie Nelson ’90, Rory Tucker ’96, and Will Bonifant ’97 and his two sons, Billy and Aren. We have Army right were we want them – overconfident!! We had a great time at the Hamilton Club for the Air Force Viewing Party in spite of the result. Please see the Event Calendar for details of the upcoming Army Viewing Party in Harrisburg. Please join us at the Hamilton Club in Lancaster for the Victory Party as Navy Beats Air Force! David Teply ’74 hosts the Chapter in the Grille Room at The Hamilton Club of Lancaster as Navy plays Air Force in Colorado Springs. The festivities will start at 1500 and last until the singing of Navy Blue & Gold in victory! Contribution per person attending: $30.00, which will be collected at the door. Correct change always appreciated! Please RSVP by September 28 – An accurate count is needed for this event so please RSVP early and often! We had a great turnout for our kickoff viewing event last year – let’s make this one even better. GO NAVY – BEAT AIR FORCE! Join Gib Armstrong ’91 as he hosts a happy hour in the Lehigh Valley. One fun time deserves another! We’re doing our best to host events across our rather large footprint. So for those near Allentown, come out and join us at Fegley’s Allentown Brew Works, 812 W. Hamilton Street from 1600-1900 on Wednesday, Jun 20. Please Gib at gibson@1991.usna.com if you can attend.